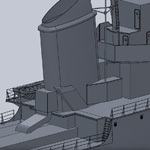 Like the Scharnhorst, this model was done for Dragon. 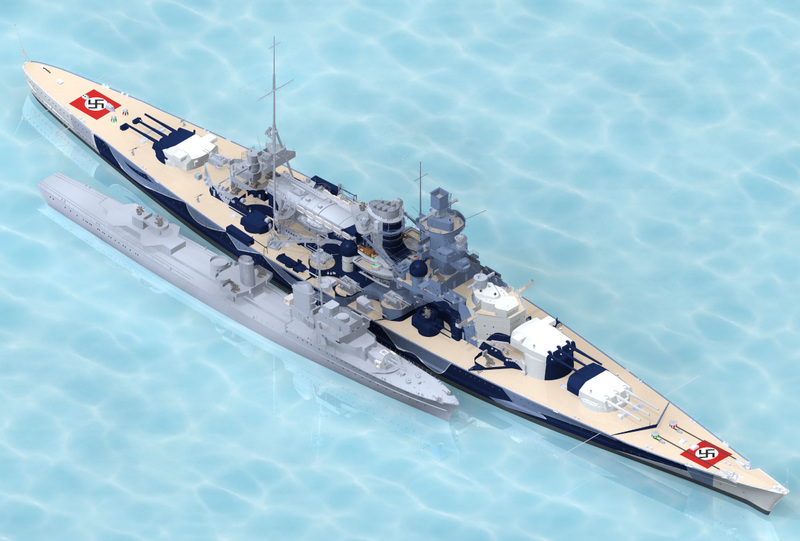 It was just announced at Nurnberg Toy Fair and caused a little excitement (mostly from Sean Hert), though not like Scharnhorst did. The first picture shows the scale of the two models. Z-39 took me 13 weeks, and Scharnhorst took me 11 months. Can you tell why? The renders and screen captures were used to follow the progress of the build; so the researchers could look them over and point out errors. Though they also serve as a diary or blog, as close as I will ever get anyway. I forgot the searchlight the first time around and had to fix it.